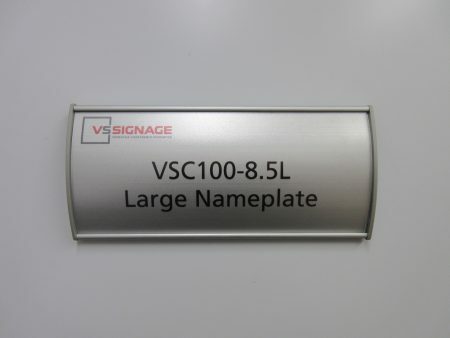 VS Signage office nameplates are changeable nameplates for any office or workplace environment. 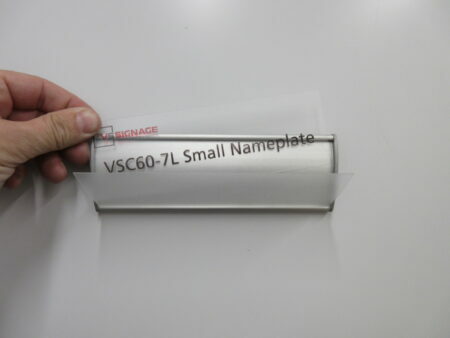 They are anodized silver aluminum nameplates that are available in curved or flat profiles. 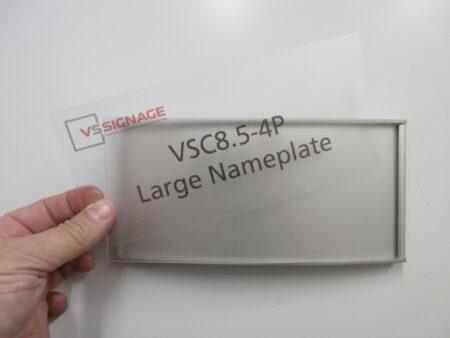 They can have a professional looking DIY messaged insert printed by the end client and inserted into the VS nameplate by simply removing the VS clear lexan cover and inserting the messaged insert. 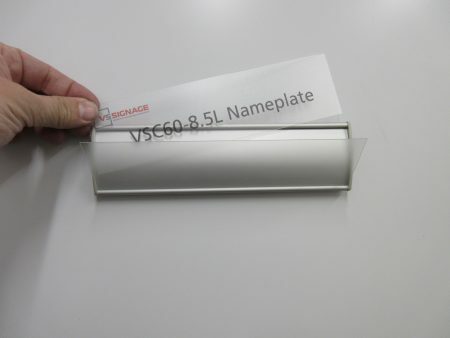 Blank anodized silver aluminum frame, with grey end caps and clear plastic cover. 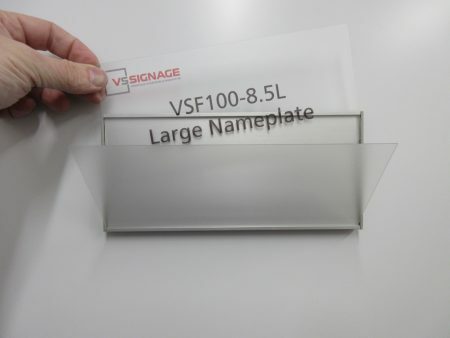 Compatible with end client produced messaged inserts, printed on clear transparency and paper sheets, up to 1/16″ thick. 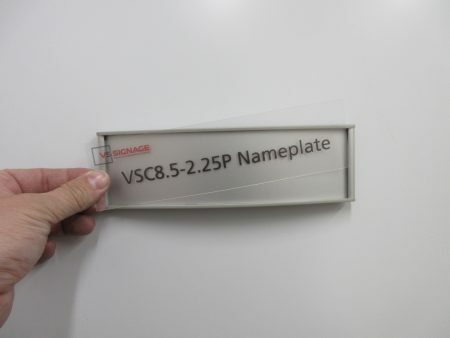 Ships as assembled blank frame, including end caps and clear plastic cover. 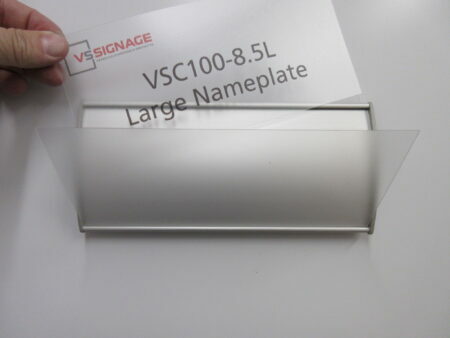 Anodized silver aluminum frame, with grey end caps and clear plastic cover. 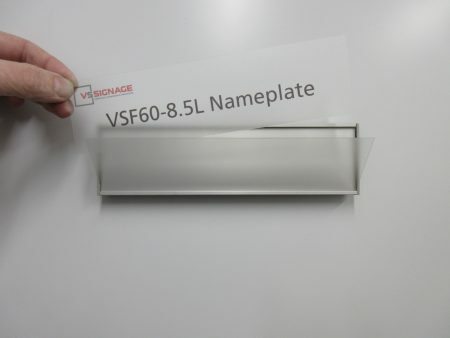 Ships as assembled frame, including end caps and clear plastic cover. 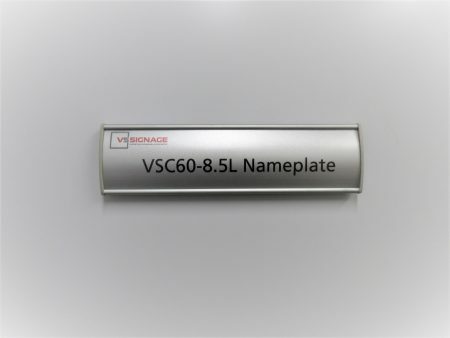 Click below for your free VS100-8.5L Nameplate Insert Template as a PDF download. 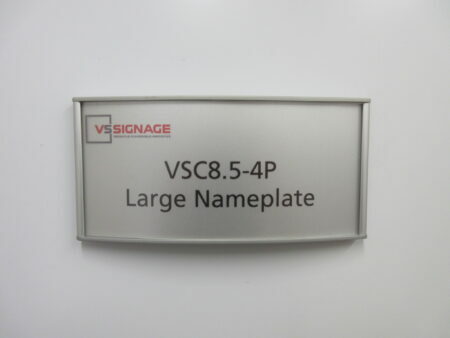 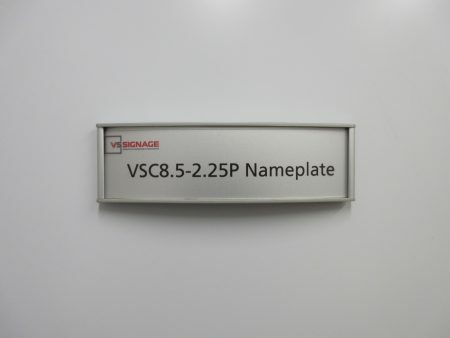 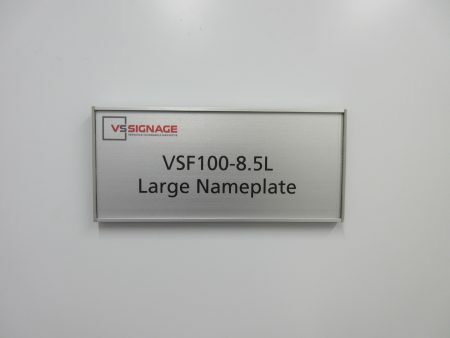 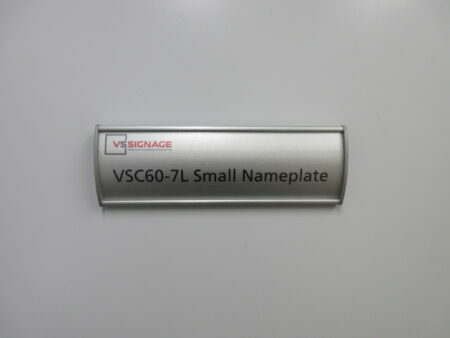 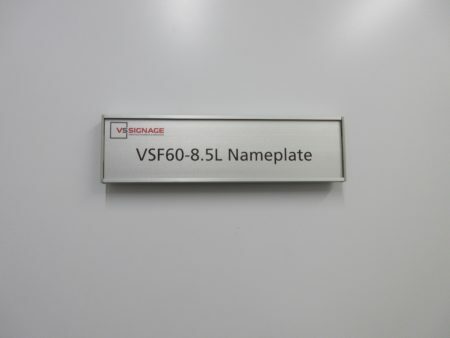 Click below for your free VSF100-8.5L Large Nameplate insert template as a PDF download.